﻿We are a group of writers of varied ability who meet at​ Llandudno Library, Mostyn Street, on the second Wednesday of each month from 2-4 pm - except for August when we take a summer break.﻿﻿ There is also a Critique Group meeting at 2pm on the fourth Wednesday of each month at Colwyn Bay Cricket Club, Rhos on Sea. as our members’ writing interests range widely from poetry, journalism and short stories to drama, novels and books for children. The idea is to encourage and develop our writing skills; enjoyable exercises are devised to get everyone round the table to write short pieces during the meeting, and then read them out for comment. We also arrange visits from published authors to take workshops; these have proved very popular, with repeat visits. Members are encouraged to bring ongoing work to the Critique meetings on the fourth Wednesday of each month for help and suggestions. Novice writers will find more experienced members willing to give their time to help them to raise their standards and to enjoy all the fun to be had in the craft of writing. Last, but not least, we have an annual party at Christmas time. 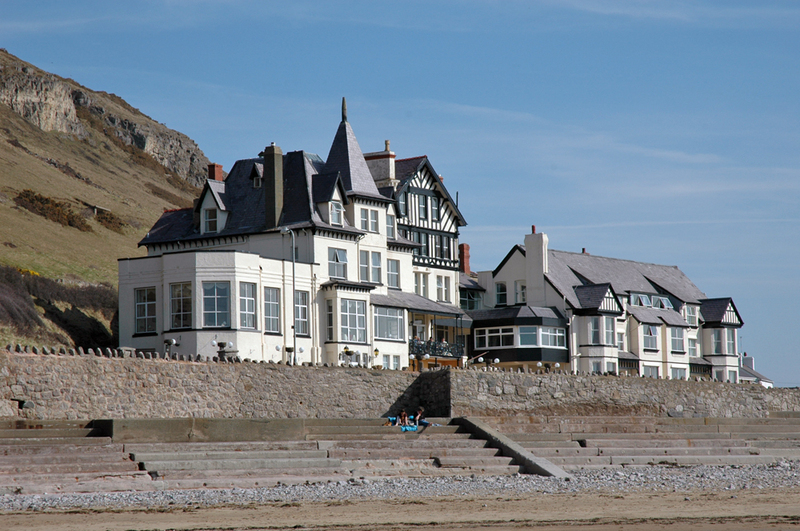 Llandudno, North Wales is the seaside home of book-lovers, poets and writers! Alas, Penmorfa (seen above in 2002) no longer graces West Shore, but the Alice in Wonderland link with Llandudno remains as strong as ever.